After a long hiatus of 8 months, this one has finally made to retail stores in India. 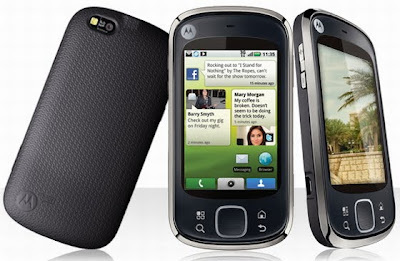 We are talking of Motorola’s Quench XT3 touchscreen phone. Motorola has launched this Android based handset, Quench XT3 in India at a price tag of Rs. 12,500. Its price may however range somewhere between Rs. 12000 to 14000. The phone has a large touchscreen measuring 3.2” (HVGA), showing 480×320 px resolution and comes packed with cool features as a 3 Mega Pixel Camera, microSD card support, 3.5mm standard audio jack and advanced connectivity options as 3G , Wi-Fi and Bluetooth.The camera of the phone sports features as digital zoom, fixed focus and LED flash. Motorola Quench runs on Android 1.6 which is not the latest Android version and thus may be considered as a downside feature of this mobile. Its lower price compensates for this and more so, its android platform makes this handset sought for as it offers an array of applications in entertainment, social networking and web browsing segments. There are unlimited messaging and e-mailing options on phone such as MMS, SMS, Email, G Mail. Internet e-mail protocols viz. POP3/ IMAP are permissible on Quench. This touch tablet weighing just 114g makes use of Full HTMLWebkit for browsing. Its battery is of 1270mAh tipped at 500 minutes of talk time and the phone makes use of both WCDMA 900/1900/2100 MHz and GSM 850/900/1800/1900 MHz network. For faster connectivity, HSDPA 7.2 Mbps (Category 7/8), EDGE Class 12 are there on the phone. There is A GPS feature in the phone and its memory is expandable to up to 32GB. The highlighted specifications of Motorola Quench XT3: * 3.2” HVGA, 262k touchscreen * Android 1.6 OS with Qualcomm MSM7201A 528 MHz Processor * A GPS * 3MP Camera with LED Flash * 32GB microSD card * WCDMA & GSM network support * Wi Fi * Bluetooth * HTML Browser Moto Quench was first seen at the Mobile World Congress sometime back in February 2010. This mid range phone is now on the verge of sale and boasts of audio players that run music in AAC, AAC+, AMR NB, MIDI, MP3, WAV formats and capture, play and stream videos in H.263, H.264, MPEG4 formats respectively. 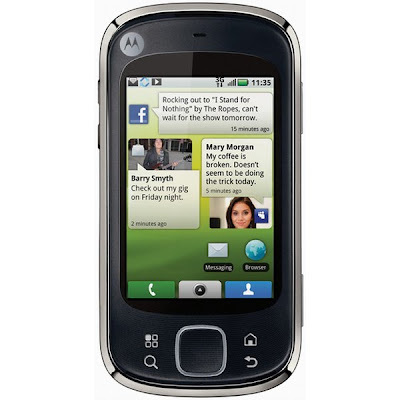 Qualcomm MSM7201A 528 MHz Processor along with 512MB ROM and 256MB of RAM powers the Motorola Quench.